HOW DID NICKELBACK EVOLVE FROM A HANNA, ALBERTA, COVER band into an international rock powerhouse? The group's winning blend of heavy riffs and radio-friendly hooks is only half the answer. The other factor is the group's dogged determination. 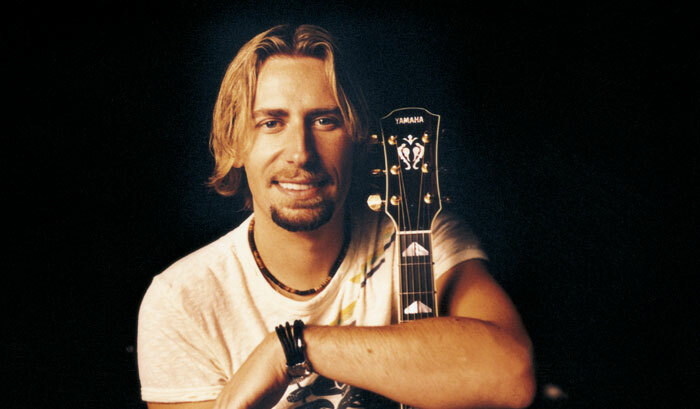 Singer/guitarist Chad Kroeger and his bandmates have worked tirelessly for the better part of a decade, during which they often managed, marketed and booked themselves. The CJX32 sounds huge. The tone is really crunchy, with a really tight low end. That's important for low-tuned rhythm parts. "We were huge control freaks," admits Chad, speaking from the Vancouver studio where Nickelback is putting the finishing touches on their still-untitled follow-up to 2003's The Long Road. "I wouldn't trade the experience of managing ourselves for anything. But now we have people we trust, and we can focus on what we do best: writing songs, recording them and going out and playing them." What can we expect from the new record? It will be more melodic than anything we've done, and heavier than anything we've done. I'm a big fan of that kind of variety. If you eat a bowl of spaghetti, you get sick of it after 20 minutes. We try to be more like an ice cream store: The more flavors we offer, the more people we can keep happy. This is your second self-produced disc. What have you learned about the production process? [Laughs.] When a band produces itself, there are too many chiefs and not enough indians. But we're a democracy, and we vote on what we like best and least. Sometimes that means going around the block a few times before you find your way home. There are alleys and dead ends on the way, but, in the end, that's the fun of producing yourself. Has your songwriting process changed over the years? Definitely. We used to come into the studio with everything finished. We'd even test everything out on the road in front of audiences. But we found that while we were good at writing songs that could get people jumping and screaming, they didn't necessarily translate onto tape. So now we experiment more in the studio and do more of our writing there. Do you always write on guitar? Yes. But I've discovered that when I sing over a guitar riff someone else has written, the ideas that come out of my mouth are fresher than what I might come up with if I'd done everything on my own. So lately I've been recording the riffs, and then coming up with the melodies while I'm not physically playing. The results are completely different, and usually a little more interesting. I write a lot on acoustic, including heavy stuff. My attitude is, if you play it on acoustic around the campfire and it sounds like a good song, adding distortion will only make it better. I've done a ton of writing on my Yamaha CJX32 acoustic. I really enjoy that guitar, especially its low end. You can tune it all the way down to the basement--low C, even low B--and it's no problem. We used that guitar all over a new song called "Photograph." It has lots of ringing, open strings and it sounds so good. Yamaha sent us a couple of AES920s. I was skeptical at first--lots of companies send us guitars, and we're usually horribly disappointed. I loved Yamaha acoustics, but I wasn't sure about their electrics. But it's a great guitar. It's a big single-cutaway with a cool watery-oily finish. It's incredibly heavy, physically and sonically. When you have that much body, it's just going to resonate. I have it set up for low C tuning, and it sounds huge. The tone is really crunchy, with a really tight low end. That's important for low-tuned rhythm parts. We just used it to put down rhythm tracks on a song called "Follow You Home." And then Billy Gibbons from ZZ Top put down a solo on it. Any advice for young bands? Songwriting is everything. You should spend more time figuring out what you're going to record than figuring out how to pick up the girl in the front row or what to wear or how to do your hair. Learn what will make people stop whatever they're doing and really listen to your song when it comes on. You have to pay attention to everything: the lyrics, the melody, the structure. It's hard to critique your own material, but if you've written something that isn't topnotch, it's got to be replaced by something better. It's about good songs, not about getting signed to a big label, or going on tour opening for a big band. If you write good songs, you'll have your own tour, and other bands will want to go on the road with you.